Congratulations on deciding to take the big step and live in Israel. Whether you have made Aliyah (עלייה), becoming a citizen of Israel, or are a university student ( אונברסיטת סטודנט ), now you have to find a place to live. 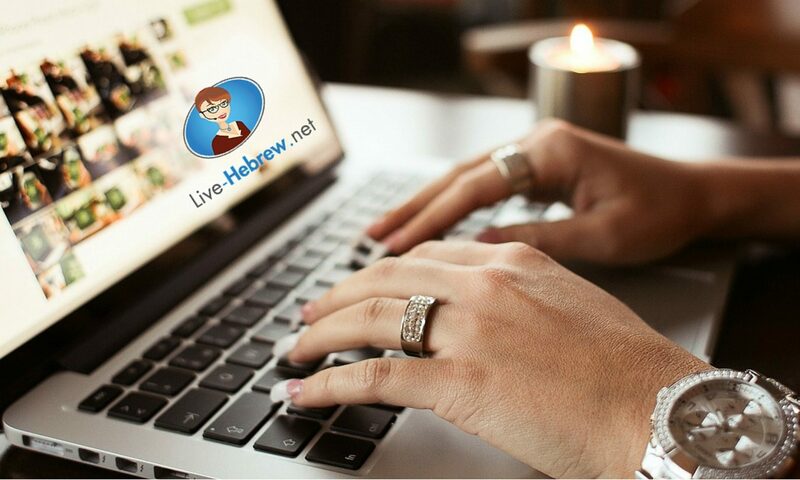 First decide which city and neighborhood (שכונה) you would like to live in. It is a good idea to go visiting friends in that neighborhood and stay overnight. Walk around on Shabbat, to see if you like the general feeling, and of course the climate (מזג אוויר). The climate in Beit Shemesh most of the year is very hot, whereas in Jerusalem, the weather varies quite a bit summer and winter. Finding an apartment (דירה) to rent (להשכרה) can be very time consuming. Most of the rental apartments in Israel are owned privately, not by large corporations. This means that the condition of apartments varies quite a bit. Most apartments do not have built-in closets (ארונות) like in other countries. If you rent an unfurnished apartment, then remember that you are getting an empty apartment. Buy closets and have them put together by a carpenter (נגר). You can go to a real estate agent to find an apartment to rent. 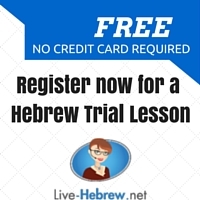 You will have to pay the equivalent (שווה) of a month’s rent to the Realtor (מתווך). This is good if you don’t speak Hebrew, and the Realtor is bilingual. Then he/she can do all the negotiating for you. Another way to find an apartment is to go to a website with apartment listings. There are a few in Hebrew and some in English. Go see the apartment. One big difference between Israel and the United States is how they number the floors of an apartment building. The ground floor (קרקע) is not included in the numbering. If the ad says 1st floor, then it is one floor up. This is not too bad, but if the ad is for a 4th floor apartment and no elevator (מעלית), then it means that you will have to walk up four flights of stairs! When dealing with apartment owners, usually they will want first and last month’s rent, and a security check. Some will also want checks written out for the whole year in advance (מראש). 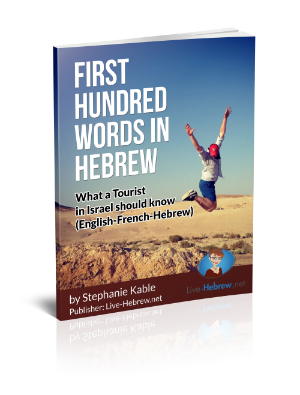 You will have to read the rental contract, which is in Hebrew, so bring along a bilingual friend to translate for you. The apartment should have been painted, check that the water works, if there is a solar water heater ( דוד שמש), and if there is a water hookup for a clothes washer. You will also have to pay the yearly property tax (ארנונה) the amount depends upon how many square meters the apartment is. Ask also is there is a monthly charge (ועד בית) for cleaning the stairs and electricity for the elevator if there is one. You will also be responsible for changing the water and electricity service. Also there are a few ways to get Internet service, so shop around for the best deal for Internet, and home telephone service. If all is to your satisfaction, then make another meeting with the apartment owner, and sign the contract (חוזה); get the key and move in! You are now a proud apartment renter! One topic that everyone can talk about is the weather (מזג אוויר). We all have an opinion (דעה) if it is too hot (חם) or cold (קר) for this time of year. Many people only listen to the radio to find out what the weather will be! If I know that the weather will be hot today, then I pick out different clothes to wear. Israel is located in the Mediterranean Sea (הים התיכון), and it has varied weather throughout the year. Most people think that Israel is hot all the time, but this is not so. When I first came to Israel, I didn’t even bring a pair of boots for the winter! As it happened, that year there was a three day snowstorm (סופת שלג) in Jerusalem! All the kids went out to play with the snow (שלג), having snowball fights. As it only snows about once every 8-10 years this was a real treat! The summers (קיץ) in Israel are hot, the temperature in August reaching from 35 to 38 degrees( מעלות) Celsius. The summer is an excellent time to go visit the beach (חוף הים) . In the Autumn (סתיו) Israel has a rainy (גשום) season from November to the middle of March. This means that there might be a total of 30 rainy days. When it rains in Israel there is also a lot of wind (רוח), so unless you have a very sturdy umbrella (מטריה חזקה מאוד), just wear a coat with a hood. In the Winter(חורף), as I mentioned before, once every 8-10 years it can snow, but usually the weather is cold, 8-10 degrees Celsius. It overlaps the rainy season. Spring (אביב) in Israel has very comfortable temperatures, from 15 degrees at night to 25 degrees Celsius during the day. When you come to Israel, remember that it is not just a desert, there are normal seasonal (עונתי) variations too!